Tucked away in southeastern Washington's Walla Walla Valley, this Seventh Day Adventist college provides a faith-centered liberal arts curriculum to its approximately 1,600 undergraduate students. The venerable Sonnenberg Series, a friendly but intense basketball competition that pits Walla students against the members of the community, is a big hit each year. Describe the type of student who should not attend Walla Walla University and explain why. Describe the type of student who should attend Walla Walla University. Why? What is a typical Walla Walla University student like? Describe the type of person that should attend Walla Walla University. What are the top 3 reasons someone should attend Walla Walla University? What was a typical Walla Walla University student like in high school? Describe the type of person that should attend Walla Walla University. The type of person would be to someone who is interested in a christian environment school. Want to pursue a degree that would help do God's work. What are the top 3 things that students do for fun at Walla Walla University? Hang out and socialize in the campus coffee shop called The Atlas. Take memorable walks through the Whitman Mission State Park only a couple miles away. Enjoy all the local Mexican restaurants and culture. The average student pays $22,441 for tuition, fees, and other expenses, after grants and scholarships. Total stated tuition is $24,822, in-state and on-campus, before financial aid. 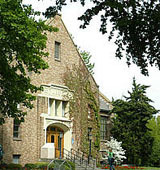 Learn more about financial aid at http://www.wallawalla.edu/attend-wwu/student-financial-services/. Estimate the net price for you at http://npc.wallawalla.edu. The typical (median) early career salary of Walla Walla University graduates is $41,600, according to Payscale. Want more info about Walla Walla University? Get free advice from education experts and Noodle community members.